Are you Taking your Medication? I often get exasperated people coming to see me. Being told by a GP to just take more painkillers rather than giving anything more substantial is a common cause of this frustration. As a physiotherapist my initial reaction to someone wanting a practical solution to their problem, rather than just to carry popping pills, is a warm feeling and the thought of congratulating them on making the wise decision. That being said, ruling out medication altogether can be a bad idea. Knowing how and when it should be used as part of someones complete treatment is very important. In this months blog I want to go over a few different types of medication, their uses, some common misconceptions and the role physio’s can play in advising on medication. The most common of this group is ibuprofen (you may know this as ‘Nurofen’ but don’t be fooled by the branding or fancy packaging, it’s the exact same thing but for way more money). Ibuprofen is most appropriately prescribed for problems with active inflammatory processes going on. 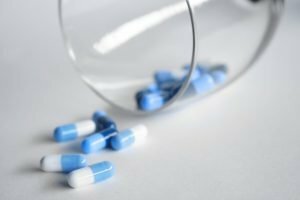 Following a line of logic, if an NSAID is making no difference to your pain, it could be a clue that your pain is not related to inflammation, and therefore may not be the right medication for your problem. One misconception around this category is that they aid in healing and recovery of new injuries (such as a sprained, swollen ankle) by reducing the inflammation. The exact opposite is actually true. The inflammatory process is a necessary part of healing, by interfering with it, you can actually impair the recovery process, and end up with weaker scar tissue and a higher risk of re-injury. The knee-jerk reaction to pop a few Neurofen whenever you’ve got a strain or sprain is therefore not the right one. My opinion is to only take these when pain is more severe and affecting things like sleep and general movement, and if things aren’t improving with time or physiotherapy alone. Similar in the previous category in that these drugs help to reduce inflammation. This can be in tablet form often used to treat respiratory issues, or more relevant to my area of physiotherapy; injections. 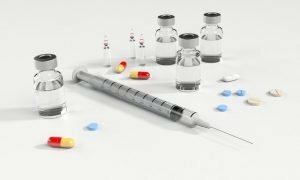 ‘Cortisone injections’ are commonly used in ‘tennis elbow’s or ‘frozen or impinged shoulders’, but again, aren’t risk free. Repeated injections over time can cause weakening of connective tissue, which isn’t an ideal situation in structures like tendons that need to stay strong. I do believe they do have some benefit in certain situations however, if someone is in excruciating pain and an injection can give a bit of short term relief, it can help someone get past a sticking point and move forward with their physiotherapy treatment. I like to think of opioids on a spectrum – ranging from relatively mild ones like codeine, to strong and powerful ones such as morphine. On the simplest level, opioids work by attaching to receptors in the brain, blocking pain signals. Opioids can effect people in different ways, with some people finding profound effects from very low levels of medication, and others not finding any benefit from them at all. The same can be true of the side effects experienced; some people cope relatively well with minimal side effects even with the stronger types of opioids, and others find problems like nausea, constipation and drowsiness even with low doses of codeine. This class of drugs highlights how individual we all are and how our bodies process things in different ways. This is why it’s important to keep your GP in the loop if you find things not working or experience side effects, as they may find you are better suited to a different medication. In the context of pain, these drugs are used specifically to treat nerve related symptoms. If someone has raging nerve pain tracking down a limb that has not responded to the other medication types listed above, looking at some neuropathic medication is often appropriate. This is the class of drug I think is most misunderstood as it is also prescribed for other unrelated conditions in other people. For example, I’ve had people come to me who’ve been prescribed Amitriptyline (which is also prescribed for depression), who are concerned the doctor thinks they’re depressed after reading the leaflet inside the box. Nerve pain can often really affect sleep, so having something to help get a better night can make all the difference in starting to recover and breaking that pain cycle. Muscle relaxants definitely deserve a mention. 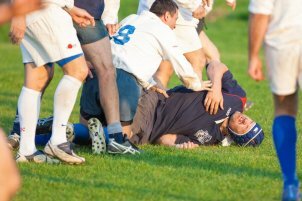 I often see people in very acute pain caused by high levels of muscle activity or spasm. With someone in this situation, I always see if I can get things to relax or ease off with various physio techniques, heat, exercises and activity changes, but sometimes a little extra help is needed. A short course of muscle relaxants properly prescribed through the GP can often help people turn a corner, and start to get more out of their physio treatment if they are really struggling. 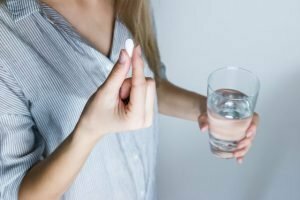 As this is probably the most common medication we all come across, so I want to make a few points on it. Because paracetamol is such a mild medication, people often think it has very little effect inside the body. This mis-understandings of it being not being harmful can lead people to have a blasé attitude towards it. If paracetamol is taken more frequently than the recommended 4 hour gap, it can have a very harmful effect on the liver. So make sure you don’t underestimate it! On the other side however, paracetamol does need to be taken consistently to get some base level in the bloodstream, so if you’ve got a more chronic constant pain, then try to follow the doctors advice on when to take it. Paracetamol also has a synergistic effect with other medication, so taking it alongside some other medications can be more beneficial. A good knowledge of types of medications, when they’re appropriate and how they work is essential as a physiotherapist. A growing trend now within the physio community is training to become an ‘independent precriber’, which takes this knowledge a stage further. This is definitely something I’m considering doing, as I feel we are often better placed to assess peoples physical symptoms than GP’s and therefore give the right type of medication along with the right advice. An added bonus here of course is the reduction in pressure on GP practices which I think everyone would be grateful for! Thats it for this month, stay tuned for our next update! Please contact us now using our enquiry form or one of the individual clinic numbers below. Save this Black Friday with PhysioDirect. Get £5 off our Physiotherapy and Sports Massage vouchers from our online store. 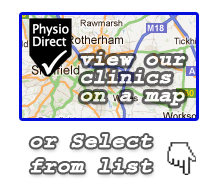 PhysioDirect has now been acquired by Sano Physiotherapy Ltd, expanding their high-quality physiotherapy and occupational health services into Nottinghamshire, Leicestershire, Derbyshire and the East Midlands. Kids back to school? It's time to look after yourself! We have two full time positions available in the Nottingham and Leicester areas. The winners of our giveaway are as follows! The winners have been contacted!